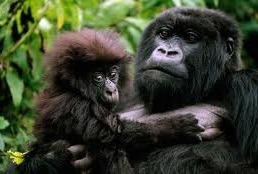 Promoting the tourism sector in Rwanda is one factor which has helped in transforming the industry with in the country. This is mainly because the government has come up to finance the marketing of the tourism industry which has help in increasing the number of safaris to Rwanda. Promoting the tourism sector to the outside world is one way of creating awareness about the tourism industry and its products. This has been done by the tourism management in Rwanda and it has helped in increasing the number of tourists who travel to Rwanda for safari tours. The government has put in a lot of efforts in promoting the tourism sector. This is has been done through encouraging sustainable tourism with in the country, which has helped in conserving and preserving the sector. Therefore attracting more tourists to safari Rwanda. Rwanda has continued to strengthen relationships with other countries which have helped in increasing the number of tourists to Rwanda, these come for gorilla safaris, wildlife safaris and other attractions which are found in Rwanda. This has helped in raising enough revenues to the tourism sector.